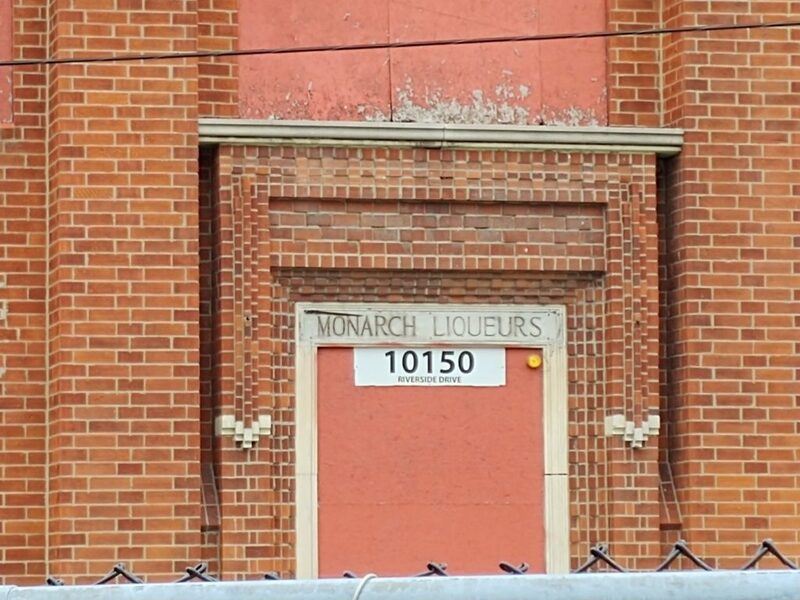 Designed by architect Albert J. Lothian, this building located at 10150 Riverside Drive East, was originally home to Monarch Liqueurs. The company likely wasn’t around long, either forced out of business by the depression or prohibition. 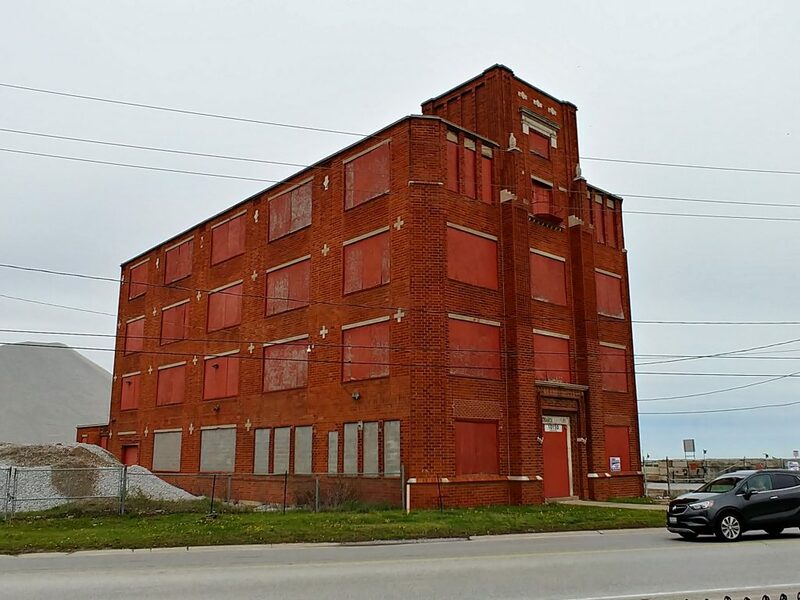 For many years it was home to W L Webster Manufacturing, who made slip covers and automotive trim. The land to the rear with a dock and water access became more valuable than the buildings on it, and for the last 40 odd years, the property has been mostly vacant, and used for aggregate storage to the rear. 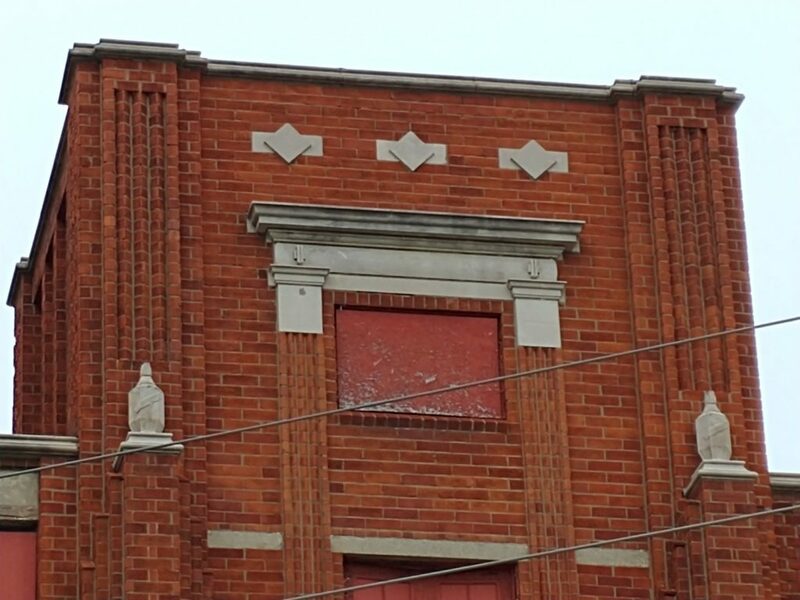 It is a great building with art deco brickwork detailing, and twin cast concrete liquor bottles and plenty of ornamental trim. The name is also featured cast in stone over the front door.